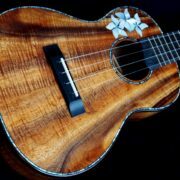 I can’t seem to keep these instruments in stock. 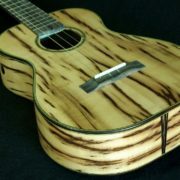 Don’t know if it is the warm sound or the appearance. 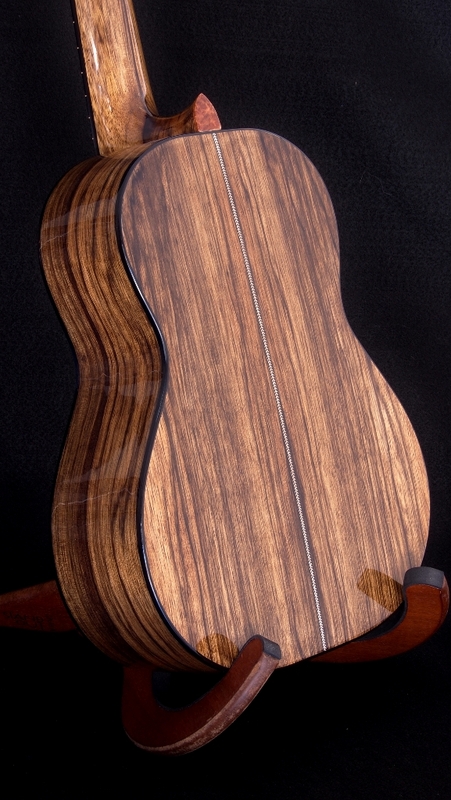 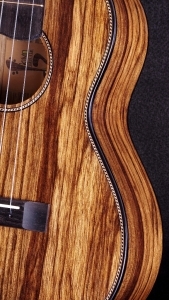 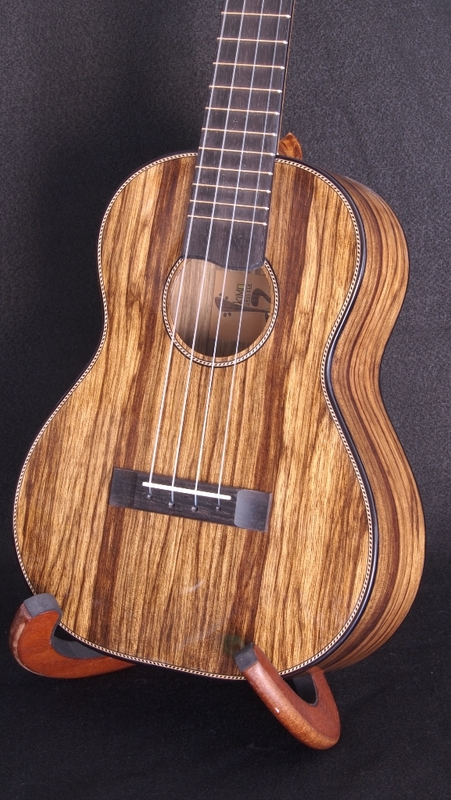 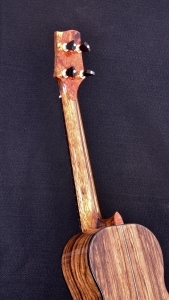 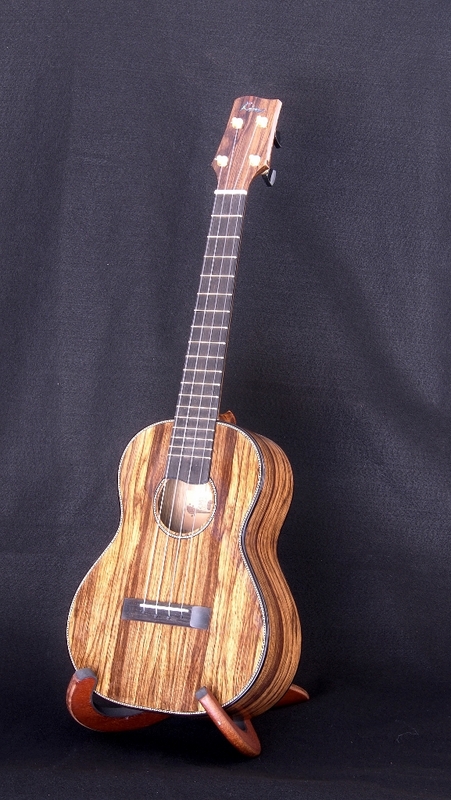 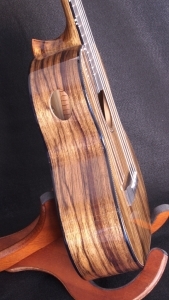 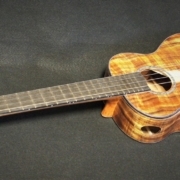 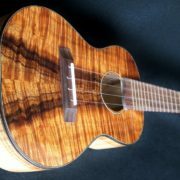 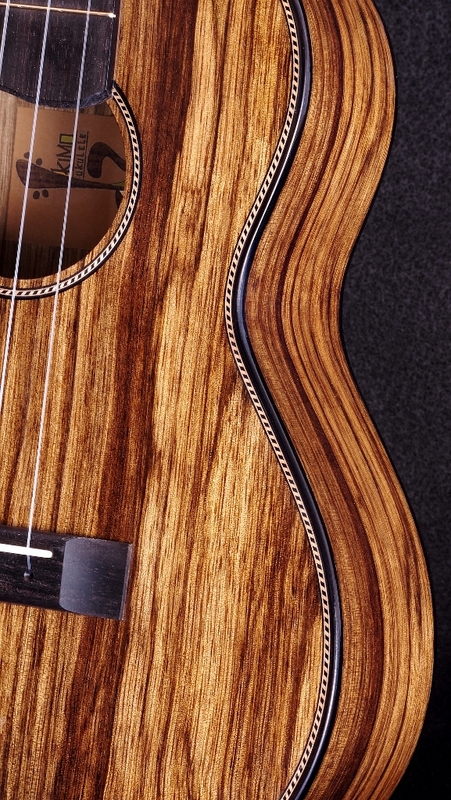 Nevertheless, here is another all Limba Hawaiian Ukulele. I’ve use a herringbone purfling and zipper back strip to accent this dark wood. Binding is ebony species as is the finger board and bridge. 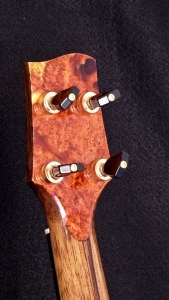 PHD low “G” strings of course. 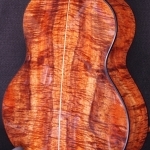 The accents are Vanuatu Maidou burl.